Brand Pretorius – Business Leadership joined South Africa’s largest motor retail group, McCarthy Motor Holdings, as Chief Executive. In October 1999, he was promoted to the position of Chief Executive Officer at McCarthy Limited, the holding company of McCarthy Motor Holdings. It is widely acknowledged that Brand played a pivotal role in saving McCarthy from bankruptcy. Due to massive bad debt write-offs in its Prefcor division, the group was declared technically insolvent in February 2001. Under Brand’s leadership McCarthy was successfully recapitalized, restructured and restored to financial health, saving thousands of jobs. Today, the group employs 7000 people, has an annual turnover in excess of R20 billion and it sells approximately 75 000 new and used cars annually. 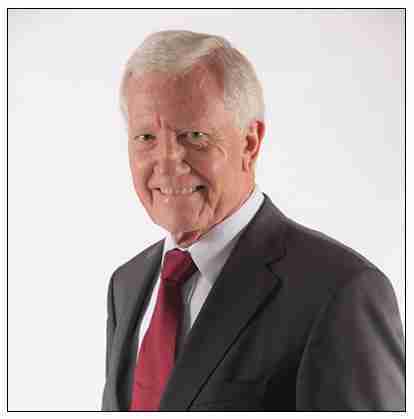 Brand retired as CEO of McCarthy and as an executive director of Bidvest Group in early 2011. He received an honorary professorship in Business Management in May of 1991 by the University of the Free State and in again in May of 2001, by the University of Johannesburg. He was appointed a Fellow at the Gordon Institute of Business Science in November 2007. Brand is a member of the main board of the National Business Initiative, the Free Market Foundation, Business Against Crime, the READ Educational Trust Board of Trustees, the advisory board of the University of Stellenbosch Business School and is the immediate past president of the South African Retail Motor Industry Organization. Brand Pretorius – Business Leadership was appointed as an ambassador of the SA Valued Citizens Initiative in May 2008, in November 2009 as a Visiting Executive at the Centre for Responsible Leadership at the University of Pretoria and in May 2011 as an ambassador of the National Values Campaign. · An Honorary Doctorate in Marketing was conferred on him by the Durban University of Technology in April 2013. · In October 1998 the research company Integrity Profiles International identified him as one of the top 5 “high integrity” business leaders in South Africa. · He received an Honorary Fellowship from the South African Institute of Marketing Management in November 1998. · In a survey done during May 1999 by the influential magazine Professional Management Review, he was identified as the most admired leader in the Motor Industry by a representative panel consisting of chief executives, fleet managers and motoring journalists. This award was bestowed on him again in June 2000. · In February 2000 the marketing magazine “The Future” identified him through reader research as one of South Africa’s three most prominent marketers of the past decade. · The South African Institute of Marketing Management honored him with their “Marketing Person of the Year” award in November 2000. · In May 2002 he received a certificate of excellence from the READ Educational Trust for his remarkable commitment to the cause of building a literate nation through the Rally to Read project, a national social investment project he initiated in 1998. · The publishers of the South African Automotive Year Book bestowed a Lifetime Achievement Award on him in September 2003, for outstanding service to the motor industry. · He became a member of the SA Automotive Industry’s “Hall of Fame” in March 2006, in recognition of his significant contribution to the industry. · In June 2006 he was honored by the Leadership Forum at their annual CEO Summit for his contribution towards leadership thinking and in particular, leadership ethics. · South African marketers identified him in September 2006 as a marketing thought leader, and as one of the top three business leaders who have contributed most to the success of their organizations, according to a national survey by Markinor and Brand Leadership. · In the annual Trust Barometer opinion survey amongst company directors by the research company Ask Afrika, he was recognized in August 2009 as the most trusted leader in the South African motor industry. · The Automotive Industry Development Council bestowed a Lifetime Achievement Award on him in April 2011. Inspirational leadership – how to optimize passion, motivation and commitment. Servant leadership – is it effective in tough times? “Brand Pretorius is a highly accomplished public speaker who engages his audience with sincerity and eloquence; inspires them with knowledge and insight; and moves them to action with conviction and authenticity. Anyone who has ever spoken publically will be in awe of his easy presentation style, and his ability to impart decades of experience and wisdom as an acknowledged leader in various settings and situations”. “Brand Pretorius, an opinion maker and an opinion leader, an expert in the Auto Retail Industry, a Leader with profound natural ability, all enhanced by an incredible and energising public speaking ability. Brand falls into the category of being a true, rare legend in each of these fields. Every engagement I have had with Brand, as well as every presentation has not only been a source of knowledge, but also a source of inspiration”. “I have listened to Brand many times, over many years, speaking on leadership, management and business lessons. I hope to listen to him for many more years. His vast marketing and executive experience at the most senior levels in corporate SA have provided him with insights that have to be shared. This he does with consummate ease and is always perfectly prepared”. “Brand Pretorius is an outstanding business leader who I have had the privilege to get to know and work with over a number of years. He has remarkable insights into all aspects of business, in addition to his passion for marketing and marketing strategy. Brand Pretorius – Business Leadership integrity, sense of humor and deep commitment to his country ensure that he is a powerful presenter and communicator about the important ideas that business in South Africa desperately needs. His public speaking abilities are exceptional, and whenever I have the opportunity to hear him, I do so. I have no hesitation in recommending him”. Brand Pretorius – Business Leadership knows what it means to be a leader: he was at the head of Toyota South Africa during its heyday, and took over as chief executive at the McCarthy Group. He knows that leadership means making hard and unpopular decisions with an eye on the long term. He writes about his four decades in business and the lessons he learnt. He illustrates his lessons on leadership with tales from his highly regarded career in motoring, like how it feels to be in a Formula 1 racing car with one of the world’s best drivers. This book gives a rare insight into what it means to do business in South Africa, and how a South African business leader can navigate all of our country’s complexities. Filled with the wisdom of hard experience, with lessons which, though aimed in the first instance at business people, can be applied in any sphere of life. An inspirational and gripping book.